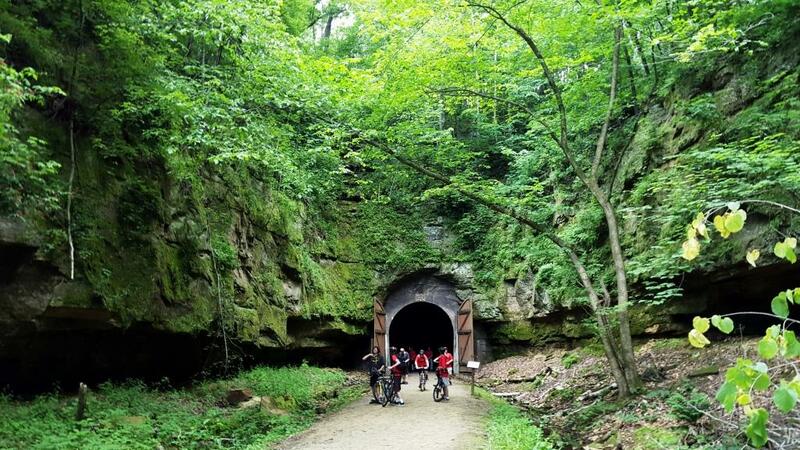 Some 50 years after becoming the nation’s first rails-to-trail conversion, Wisconsin’s 32.5-mile Elroy-Sparta State Trail is still a great place for folks to enjoy a range of trail experiences. My son and I biked the trail June 24 with 10 of Sam’s fellow Boy Scouts in Troop 293, sponsored by Trinity Lutheran Church. 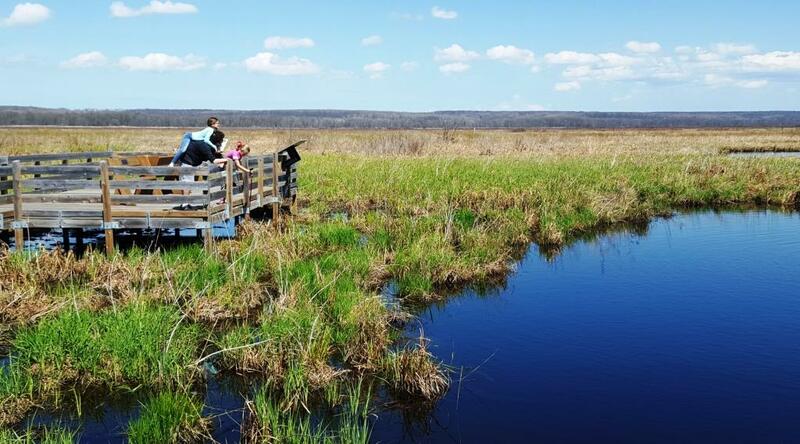 Eight adults also made the trip, which included overnight camping outside of Elroy, where the trail’s eastern terminus meets up with Wisconsin’s 400 Trail, and at the western end in Sparta, where it joins the Lacrosse River State Trail. Elroy-Sparta introduced me to Wisconsin’s incredible trail system three years ago. The system is among the best in the country, and Elroy-Sparta makes an excellent destination for users of all ages and abilities. Seeing it once more with many of the same scouts and adults from that 2014 trip was a pleasure, because it was one of those great reminders of the value of working together to reach a common goal. Elroy-Sparta’s web site (www.elroy-sparta-trail.com), run by its friends of the trail group, notes that the trail was established in 1965, but other sources put its inception in 1967. The trail’s birthdate may depend on how one chooses to define that. Some say it began the year the Chicago and Northwestern Railroad pulled up its rails between the two towns and offered the right-of-way to the former Wisconsin Conservation Department (now Department of Natural Resources) for $12,500. 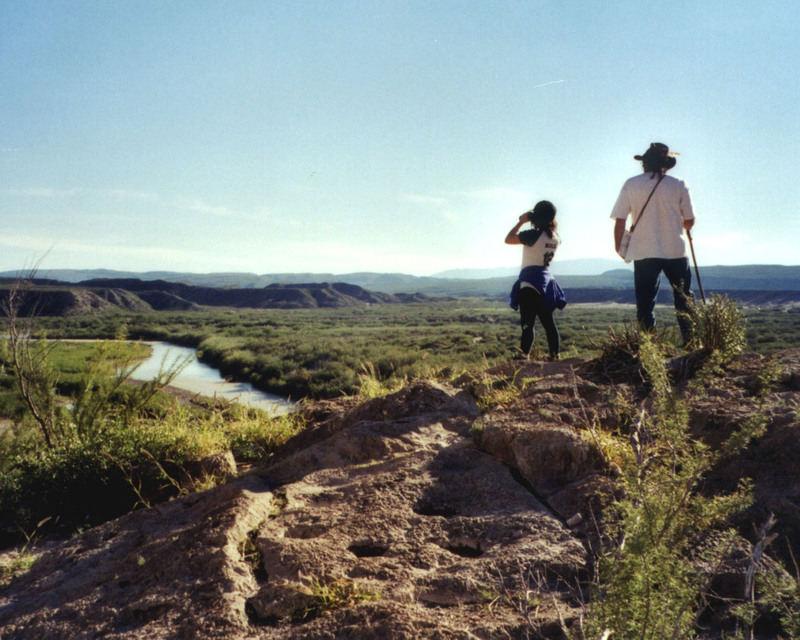 The best pictures of nature show less of the people and more of the scenery, like these native grinding holes in a bluff overlooking the Rio Grande and Mexico (Big Bend National Park, 2000) . Selfie sticks are getting whacked a lot lately. For those still living in the world of talking to others, selfie sticks are the devices that allow one to avoid all human contact while holding a camera at more than arm’s length and blessing everyone with yet another shot of one’s beaming mug. For obvious reasons, the secret service didn’t want them near the Pope on his U.S. visit. Reuters News Service and Mashable recently told us that more people have died taking selfies in 2015 than have been killed in shark attacks. Search “selfies” in the New York Times and you’ll get all sorts of cogent, thoughtful, and recriminating pieces about the meaning of selfies in our culture. This is the story of my selfie stick.